We’d love your help. Let us know what’s wrong with this preview of Red Clover by Florence Osmund. The troubled son of a callous father and socialite mother determines his own meaning of success after learning shocking family secrets that cause him to rethink who he is and where heʼs going. In Lee Winekoop’s reinvention of himself he discovers that lifeʾs bitter circumstances can a Imagine feeling like an outsider. Now imagine feeling like an outsider in your own family. The troubled son of a callous father and socialite mother determines his own meaning of success after learning shocking family secrets that cause him to rethink who he is and where heʼs going. In Lee Winekoop’s reinvention of himself he discovers that lifeʾs bitter circumstances can actually give rise to meaningful consequences. What others are saying about Red Clover. To ask other readers questions about Red Clover, please sign up. Reflecting back on this book, if I had first heard about it via the blogging community I’m pretty sure I would’ve said it wasn’t for me. However, I spoke to the author directly and I’m so glad I did because it’s a beautiful, moving story that gently absorbs you into the lives of the characters. Having to endure a life full of criticism and isolation, one would assume Lee, the main character, would be more damaged and unable to cope with adult life. Instead, he is inspiring: generous, helpful and, Reflecting back on this book, if I had first heard about it via the blogging community I’m pretty sure I would’ve said it wasn’t for me. However, I spoke to the author directly and I’m so glad I did because it’s a beautiful, moving story that gently absorbs you into the lives of the characters. Having to endure a life full of criticism and isolation, one would assume Lee, the main character, would be more damaged and unable to cope with adult life. Instead, he is inspiring: generous, helpful and, in the end, wonderfully astute as he negotiates life at its very best . . . and worst. At times I felt desperately sorry for Lee, wanting to soothe his child-self and move him on to happier times. The characters surrounding him are bittersweet – a few drag him down, whilst other lift him up – and it’s with them that you begin to witness his transition into a man learning to be comfortable in his own skin. It’s an uplifting tale that left me feeling a sense of peace once finished – although I would love (and hope) to see Lee’s story move on even further in a follow-up novel – and I encourage others to read this book and enjoy his journey. This book was read for Awesome Indies Books. Head on over to the website for this and more great indie books. Too much swearing and one gay bar scene that was too explicit & not necessary. Leave that out & it would be a good read. I absolutely could not put this book down! I read until 3:30 AM, then slept and started reading again. I should be grading papers, but I simply could not think about anything but this book until I finished it. It is THAT good. The story is so well written, and the characters are so well developed and so real, you feel as though you are sitting right there with them at the Deer Bottom Inn, or are the proverbial fly on the wall and privvy to the private life of some very interesting people. The desc I absolutely could not put this book down! I read until 3:30 AM, then slept and started reading again. I should be grading papers, but I simply could not think about anything but this book until I finished it. It is THAT good. The descriptions in the book are excellent. I want my own field of Red Clover now... I can see Lake Geneva in my mind. All of these elements are the mark of a gifted storyteller. I cried when Lee and Henry had their heart to heart at the end. I really wish the story would have went on and on. I would love a sequel to catch up with everyone's lives in the future! The writing is stellar, the plot is very good, and the story has enough twists and turns and secrets to keep anyone interested. Curious book. Overall, an enjoyable read but could have been a tad bit more involved. This was a good book. It follows the life of a boy into adulthood and the struggles that he overcomes in his life. I would recommend. This is not normally the type of book that I read but it was free so I acquired it. However, it sat on my digital shelf for a while as I continued to read "better genres." Feeling adventurous, I wiped the dust off my Kindle screen and immersed myself into Red Clover not knowing what to expect. I am glad I did. Ms Osmund is an extremely talented author and much of my reading pleasure was from enjoying her writing style. She tackles human emotions, relationships, opportunities and failures to spin a modern-day Pollyanna story about a rich kid who just doesn't meet the standards of his father's perceptions of what he should be. Having successful, much older brothers whom he hardly knows, a submissive mother who somewhat defends him to his father coupled with the social isolation of being home-schooled and sent to psychiatrists leaves Lee unable to relate, understand or even exist well around others. Add to that, the pressures of not knowing what to do with his life and discoveries of family secrets, makes the story of Lee's life and his struggles a book you won't regret reading. Poorly written like an elementary school child wrote it. The characters are all two dimensional and contrived from what seems like stereotypes but without the truth. The story line is predictable and frustrating because of it and the main character who is narrating it is supposedly well educated and affluent and yet had none of the traits of either except to be well-spoken. Loved how everything came together for Lee. He was able to find his way to independence in spite of all those who tried to hold him back. Not a love story, but filled with love. A variety of characters that make the book worth reading! Truly enjoyed it! There are coming-of-age books and then there are books about coming to life...finding yourself, your own personal space and identity, in the melee of world. On the surface the book is about the protagonist—a boy (and then a young man)—finding himself a misfit in his successful, illustrious family and then how he works and fights his way to become who he wants to. The underlying theme being: "It should never be your goal to be normal. Your goal should be to be whole!" Red Clover encourages the read There are coming-of-age books and then there are books about coming to life...finding yourself, your own personal space and identity, in the melee of world. On the surface the book is about the protagonist—a boy (and then a young man)—finding himself a misfit in his successful, illustrious family and then how he works and fights his way to become who he wants to. This is a story I enjoyed very much. It goes to the point that money doesn't buy happiness and adversity sometimes allows a true character to come forward. The family Lee was raised in puts a capital D in dysfunctional, but his ability to rise above the efforts to belittle him show the true and strong character that allows him to succeed in spite of his detractors. I got this book as a freebie and it turned out to be an excellent read. Lee is the youngest of three boys and is nine years younger than his next sibling. Born into an extremely wealthy family, Lee never felt like he fit in. He felt like an outcast all through his school years until he inherited a large sum of money and land. He then started piecing his life together and found out why he always felt the way he did. In the end Lee feels whole. Excellent read about life. The story of becoming whole through fragments of family interaction is gripping. Who are we when we are not like those around us? And how do we become fully ourselves? Thoroughly enjoyed this. This story is kind of interesting. It's the kind where you're not sure where the story is going but you keep reading to find out. The story is about a socially awkward guy named Lee and his journey to become whole. I liked the tale. Had no idea what this book would be about going into it. I saw a lot of the twists coming as they were quite predictable and there were lots of hints along the way but I enjoyed this book a lot more than I thought I would. Enjoyed this book. I wasn’t sure what to expect from the description, however, I found it hard to put down once I started reading it. I LOVED this book! Not only did it keep my interest but it was a very inspiring story. This was a fill in until I get to the library. Very easy read.. I downloaded this book from Freebooksies. My expectations were low since it was free but I thought it was a good book that kept my attention from start to finish. Worth the read. Well….To me, Florence Osmund is not just a great writer, but a personal friend with a kind heart. She is a very good mentor to all the budding writers. For it was while seeking help with regard to my writing that I landed upon her website. Impressed with her advice and tips, I decided to read “Red Clover”. The characters in “Red Clover” are so well developed and it left me with a feeling that Lee, Shaneta and Rad are some real people living out there and that I must meet them some day. Also, I w Well….To me, Florence Osmund is not just a great writer, but a personal friend with a kind heart. She is a very good mentor to all the budding writers. For it was while seeking help with regard to my writing that I landed upon her website. Impressed with her advice and tips, I decided to read “Red Clover”. 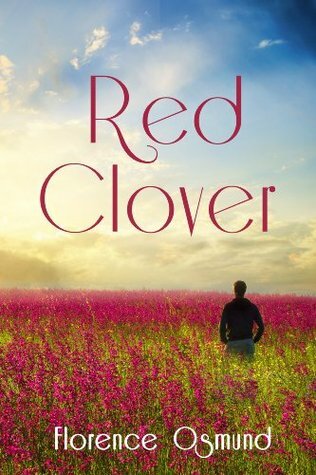 Several weeks ago, I noticed that author Florence Osmund had another book out: “Red Clover.” Having read two of her previous works, and being that I like her stories, writing style and messages she provides within her tales, I immediately opted to read and review this latest novel. True to form, Osmund does not disappoint. “Red Clover” is yet another interesting and well written read. In, “Red Clover,” the journey begins in 1960. Lee Winekoop is just eight years old, but, even at that tender age, Several weeks ago, I noticed that author Florence Osmund had another book out: “Red Clover.” Having read two of her previous works, and being that I like her stories, writing style and messages she provides within her tales, I immediately opted to read and review this latest novel. True to form, Osmund does not disappoint. “Red Clover” is yet another interesting and well written read. In, “Red Clover,” the journey begins in 1960. Lee Winekoop is just eight years old, but, even at that tender age, he realizes that he is much different from his two older brothers. There is nothing he can put his finger on exactly; however, his feeling of inadequacy is strengthened by the distance he consistently feels from his father. Due to Lee’s various idiosyncrasies and insecurities, he is home-schooled. And, he is always being critiqued, studied, examined or advised by one psychologist after another. Lee’s father doesn't understand what is wrong with this particular son. Lee’s mother does her best to shield him from his father’s displeasure; however that seems to be the extent of her “maternal” affection. As “Red Clover” continues, the reader will be able to observe Lee as he traverses through his formative years; forever struggling to figure out who he is supposed to be. Years later, after finishing grad school, his Uncle Nelson passes away. Lee barely remembers the man, but he does attend the funeral. Wealth and privilege come with many obligations; and the freedom to skip the funeral of a mostly unknown man is not even an option for Lee. He does not yet realize that from this day forward, his life will never be the same again. Uncle Nelson had willed a generous amount of money to each of the boys, yet with Lee, he provided more. A 650 acre parcel of undeveloped land, an odd trust dictating the acceptance and usage of this land and ... a question that burned within Lee's mind: why was he given more than his brothers? This question, and others, started Lee on a journey. A journey that eventually reveals a shocking family secret that has been well hidden for over two decades. Of course, I’m not going to tell you the secret. You will need to read the book for yourself to discover what it is. In summary though, “Red Clover” was another great book by Florence Osmund. As always, she writes with sincerity and style. Her characters are believable and the various situations they find themselves in are credible. “Red Clover” is a tale of human discovery with hope for a better tomorrow. I am also certain that readers will enjoy watching the scared and misunderstood little boy; mature into a man completely at ease with who he is. “Red Clover” is a wonderful “feel good” read that is completely appropriate for all ages. Four stars. "It's should never be your goal to be normal. It's should be your goal to be whole!" When I start reading this book I wasn't sure if I can make it till the end. It looked like the books I intentional avoid reading them. There were so many details like the interior decorations of the house and the way the owners lived or the plenty inside thoughts the main character had whole the time about his life. Although I wasn't keen on reading that kind of books before now, I was truly intrigued about wher "It's should never be your goal to be normal. It's should be your goal to be whole!" When I start reading this book I wasn't sure if I can make it till the end. It looked like the books I intentional avoid reading them. There were so many details like the interior decorations of the house and the way the owners lived or the plenty inside thoughts the main character had whole the time about his life. Although I wasn't keen on reading that kind of books before now, I was truly intrigued about where all these end, so I keep reading it and I enjoy it very much. Here it is, a story about a young boy who wanted to be normal and became a man on his own will, who's goal was to be whole. Lee Oliver Winekoop, born in 1960 and lived in Evanston, Illinois with his wealthy parents and his two older brothers, never felt normal! He always thought he was an intruder for his family, having less than his brothers had and he always received criticism by his father about everything he did or didn't. When Lee finally finished high school he decided to open his wings and do what ever he likes to, even if at that time he didn't realy knew what was it. Years passed and now alone in his parents lake house his life turns. A will of his dead uncle Nelson start to change his life and makes it better in every way. Lee starts a life on his own, makes good friends, unfortunately one enemy, tries to find him self and his spot to life, tries to make his father proud about what he accomplished so far. But life has it's way to saw you things, so Lee was infrond of a huge news about his family and a truth beneath the way his father treated him. Now, with all cards open in frond of him, Lee decides to complite his dream project without feeling lost or alone any more. He has good people beside him who love and wants to help him. And now he feels WHOLE. Beautiful story, very well written, it opens slow at the beginning but what it comes next it's very enlightening for everyone who feels not normal or half in their lives. I'm truly glad that I read it it this time of my life! Because I count myself as an optimist looking for evidence to affirm my belief in others, I ended my reading this year with Red Clover, a truly delightful book by Florence Osmund. This was my first experience with Osmund’s work and I can see why she is so popular. Here is the story of Lee Winekoop, as a boy, then as a man, struggling with the quest that we all encounter sooner or later (and often never finish): Who am I? Where and with whom do I belong in this life? What am I meant to do in the Because I count myself as an optimist looking for evidence to affirm my belief in others, I ended my reading this year with Red Clover, a truly delightful book by Florence Osmund. This was my first experience with Osmund’s work and I can see why she is so popular. Here is the story of Lee Winekoop, as a boy, then as a man, struggling with the quest that we all encounter sooner or later (and often never finish): Who am I? Where and with whom do I belong in this life? What am I meant to do in the world? With Lee perhaps those questions are more fundamental than with most of us, going to the very heart of his origins as a person raised in a very wealthy family that seems to care so little about him and his struggles. Lee’s intelligence and generosity are surpassed only by his yearning to understand and cope with a life lived in relative emotional isolation. When Lee unexpectedly inherits several hundred acres of Illinois farmland from an uncle, the mechanism of revelation swings into motion and Lee slowly begins to answer the questions that have occupied him from the beginning. Along the way to those answers, Osmund introduces us to believable and memorable characters that run the spectrum from odious to endearing. Osmund does a good job showing the emotional poverty that often accompanies great wealth and the cruelty that is second nature to the small-minded. I found myself wanting to do terrible things to some members of Lee’s family and to a certain member of the law enforcement establishment. But – and here we get to the aforementioned optimism about our fellow humans – it is ultimately Lee’s better nature and basic good heartedness that stands to triumph over those that would keep him down and in the dark. His true success is in finding a way to change those in the world around him for the better. This is a simple story, well told. Osmund has kept the distractions and diversions to a minimum. Her narration, while in some places a little too sparse, generally serves her characters and her message. Red Clover was a very good book with which to close out the year and, I suspect, just as good for starting the next year.